Cricut is the technological marvel of crafters and DIY enthusiasts everywhere. Its amazing precision cutting will make your friends pea green with envy as they wonder how you learned to make such gorgeous, creative items to gift, sell and display. 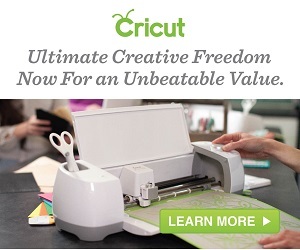 If you never checked out Cricut, have a look at all the huge number of different projects you can make. Decorate for parties, school events and reunions. Believe it or not, it’s time to start thinking about Halloween! 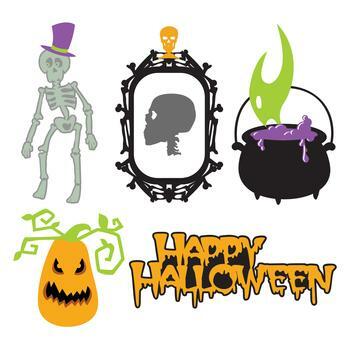 Just think of the eye-popping costumes, decorations and Halloween party invitations you can make with Cricut! Make items to sell for school or charity fundraisers, or to make some extra money on the side. You tell it what to do from your computer or tablet, using your own creativity or one of the many available project suggestions Cricut has available online in their Project Center. The sky’s the limit on what you can make with your new Cricut precision cutting machine. 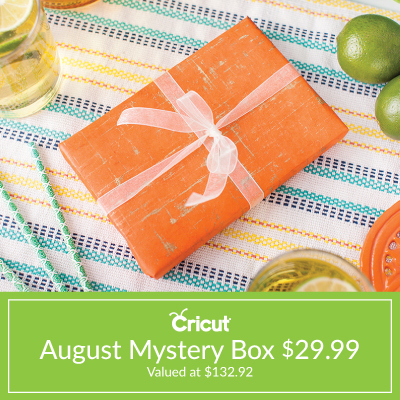 If you’ve got one already, don’t miss the August Mystery Box to replenish your crafting supply stash in time for the new school year.